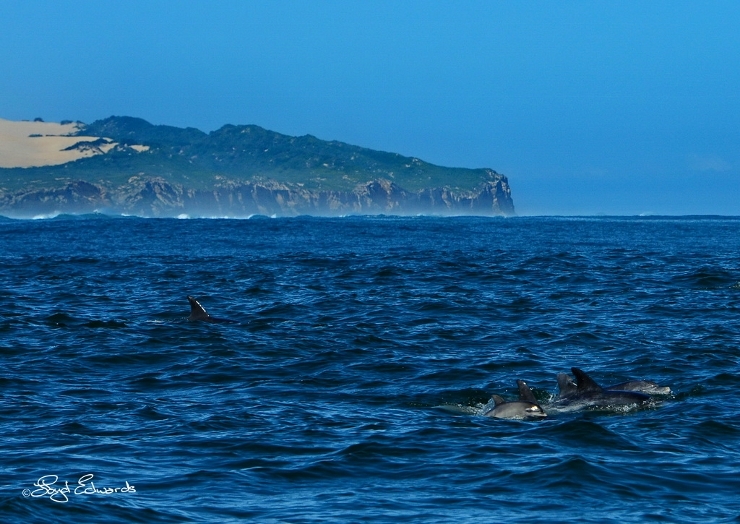 This week we explored the whole of Algoa Bay during our first sardine run outing of the year! 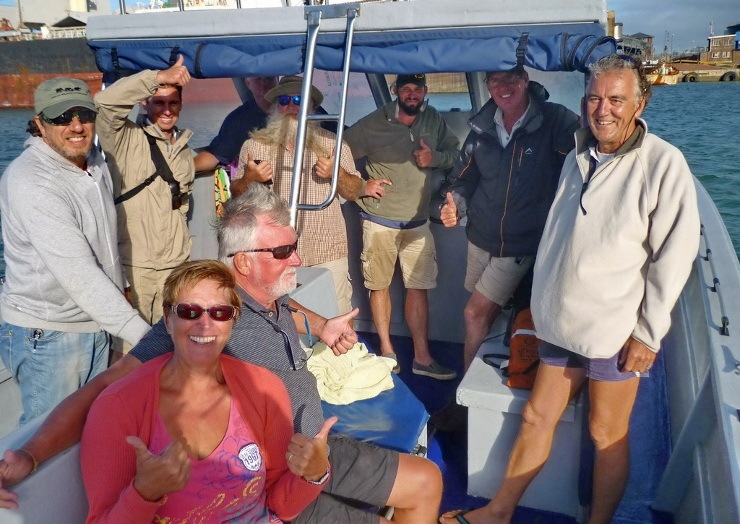 With some friends and foreign visitors we headed down to Cape Recife and travelled across the bay to its furthest edge at Bird Island. 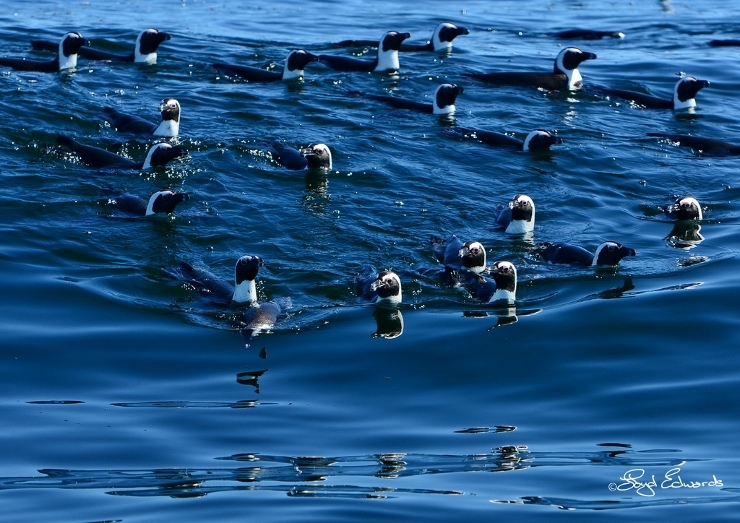 Along this route we saw multiple penguin baitballs with hundreds of our endangered African penguins hunting and circling shoals of baitfish, forcing them to the surface. 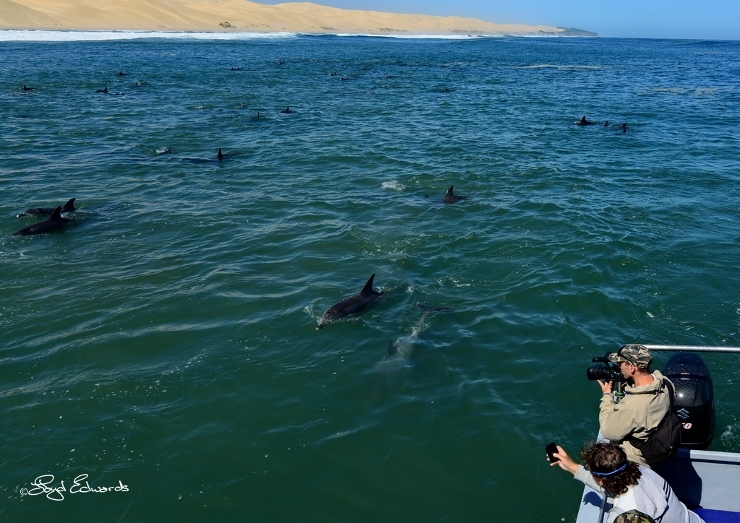 This behaviour provides an easy meal for many other species of birds, sharks and other game fish, seals, and of course the sardine eating Bryde’s and minke whales. 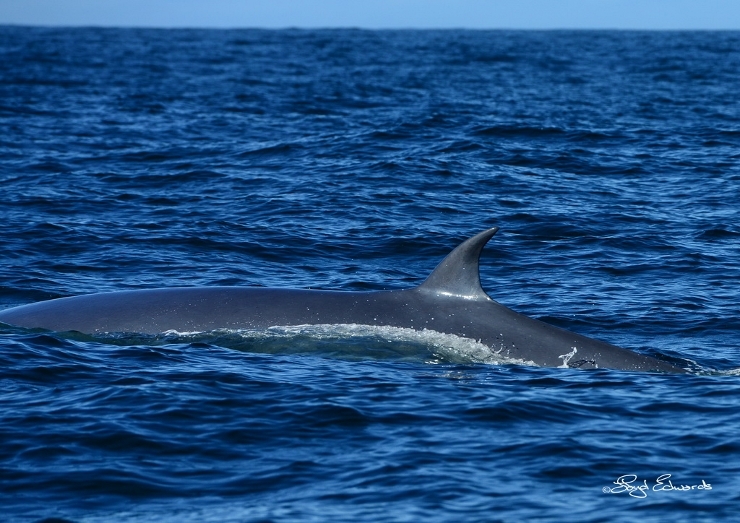 We saw a total of 8 Bryde’s and 2 Dwarf minke whales during all the action. Thousands of Cape gannets were foraging on the left over scraps of fish, scooping the water, and dive-bombing the area to get their fill. Other birds spotted during the outing included sooty shearwaters, white-chinned petrels, storm petrels, Arctic and Antarctic skuas and of course our usual sightings of African black oystercatchers, Cape cormorants and white-breasted cormorants. We saw a total of 950 Indo-Pacific bottlenose dolphins in three separate pods, starting right at the harbour itself with the first group. 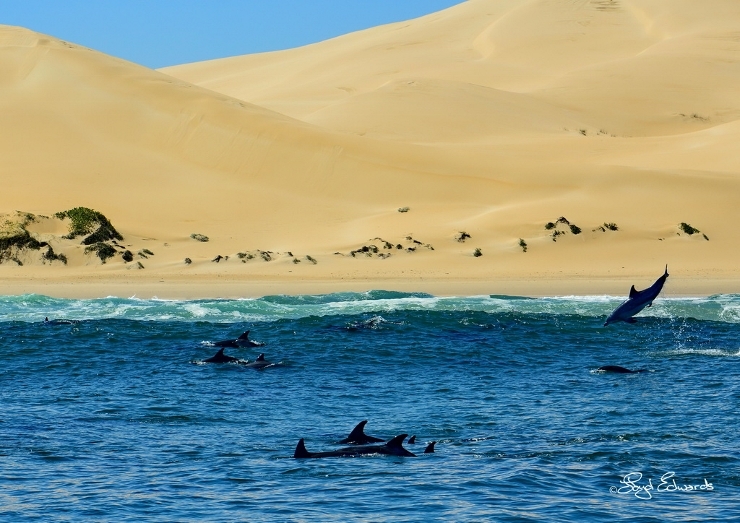 And the other two pods were around the islands and surfing the crashing waves at the extensive Alexandria Dunes! 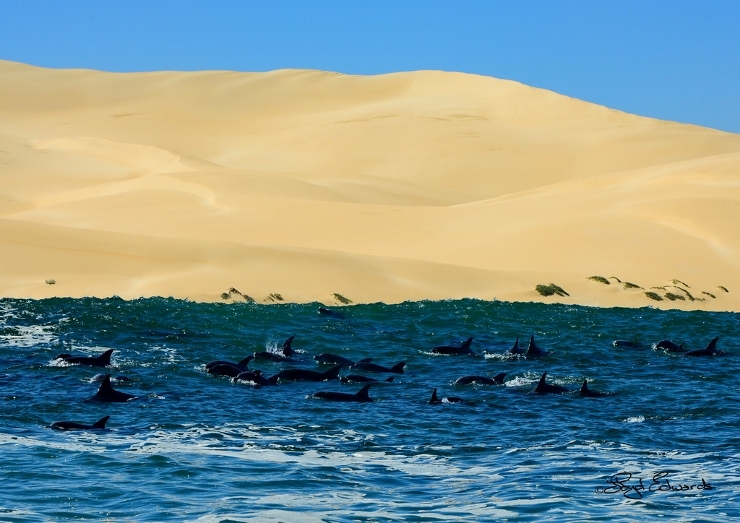 We are not named the Bottlenose Dolphin Capital of the World for nothing! At Bird Island we were amazed by the 250,000 Cape gannets that call the flat piece of rock home, the largest gannetry on the planet. 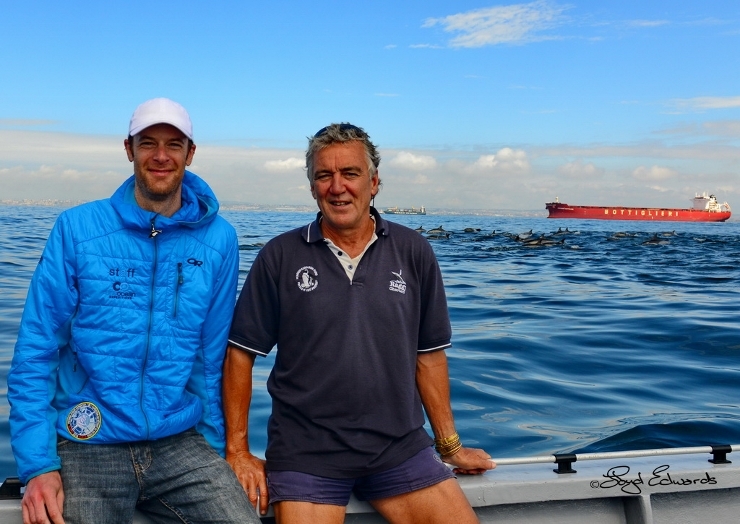 And we spent some time at Black Rocks which has about 6000 Cape fur seals fighting for space on the small rocky islet. Then following the shoreline past the Sundays river we encountered St Croix. 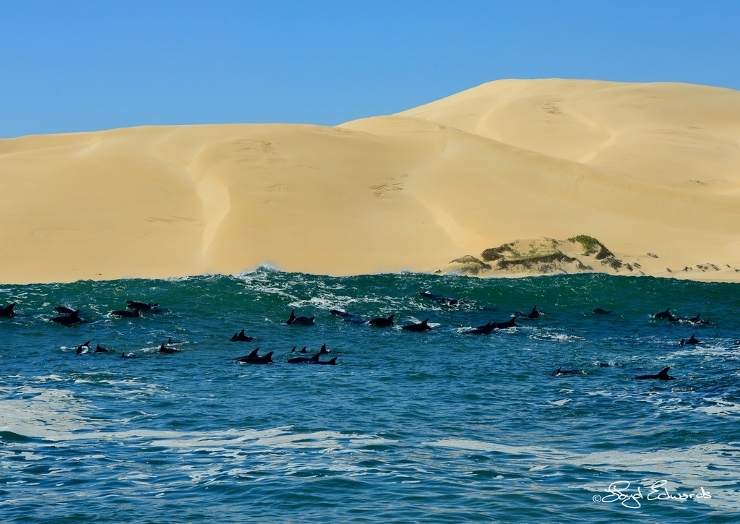 The largest breeding colony of African penguins in the world inhabits this island, with 22,000 individuals, nearly half of the entire world population. 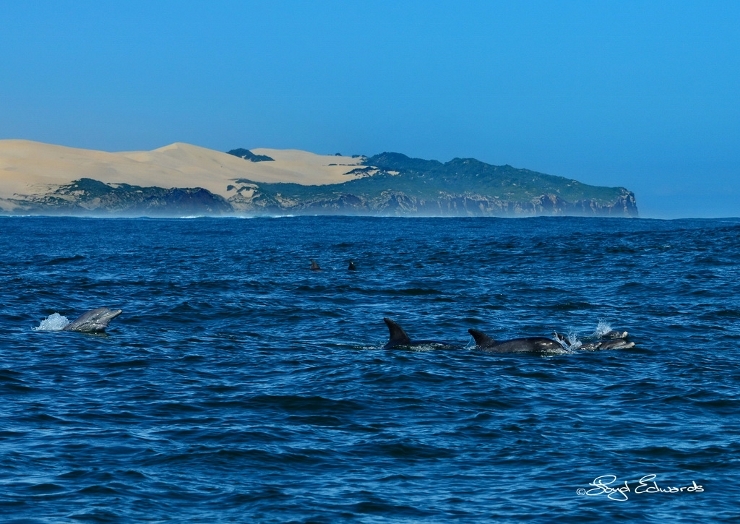 It is absolutely incredible what sightings a person can have spending just one day here in Algoa Bay, it is not surprising why we were chosen as a Hope Spot. 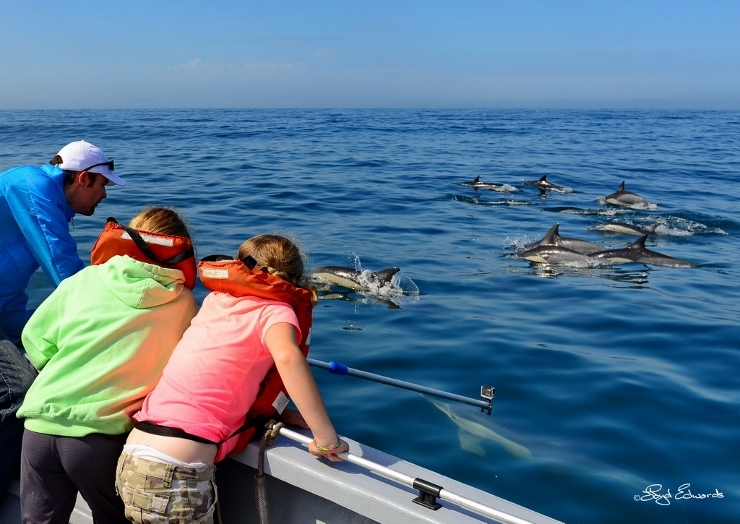 The following day on our usual St Croix trip we encountered a small pod of common dolphins also chasing and feeding on baitfish. 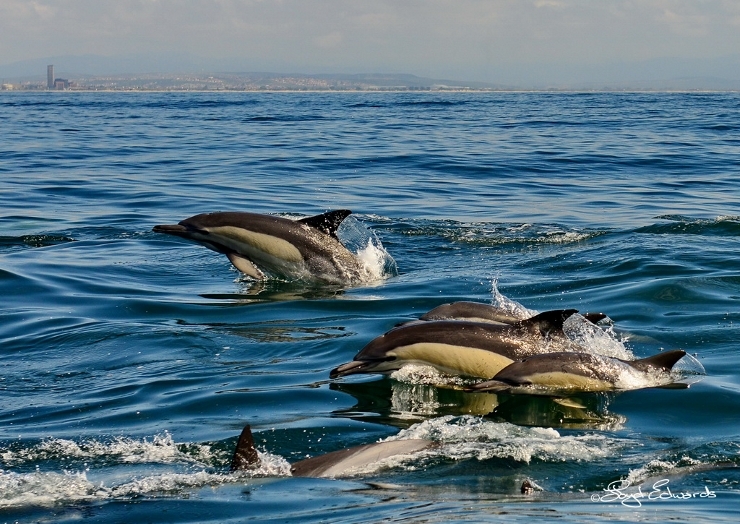 These cetaceans, usually seen in larger numbers of up to 2000, and heavily associated with the sardine run, are normally spotted further offshore so it was a real treat to have them in the heart of the bay and shows us there is a lot of fish around as well. We also had many bird species spotted all around the bay diving in and scooping the water for fish.